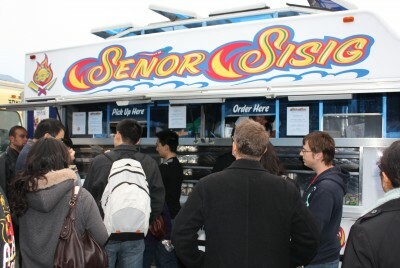 Senor Sisig food truck impresses Guy with Filipino-Latin fusion flavors. In a large bowl, season the chicken fillet and liver with salt and pepper. Put the pan over medium heat and fry the fillet and liver until golden brown. Set the mixture aside then chopped into small pieces. In a pan, saute garlic and onions. Add the chicken fillet and liver while crushing the liver while cooking. Add chopped chili pepper, oyster sauce, soy sauce, and ground pepper. Stir fry until the mixture has blended well. Add mayonnaise. Transfer to a sizzling plate and add fresh egg on top before serving with lemon. 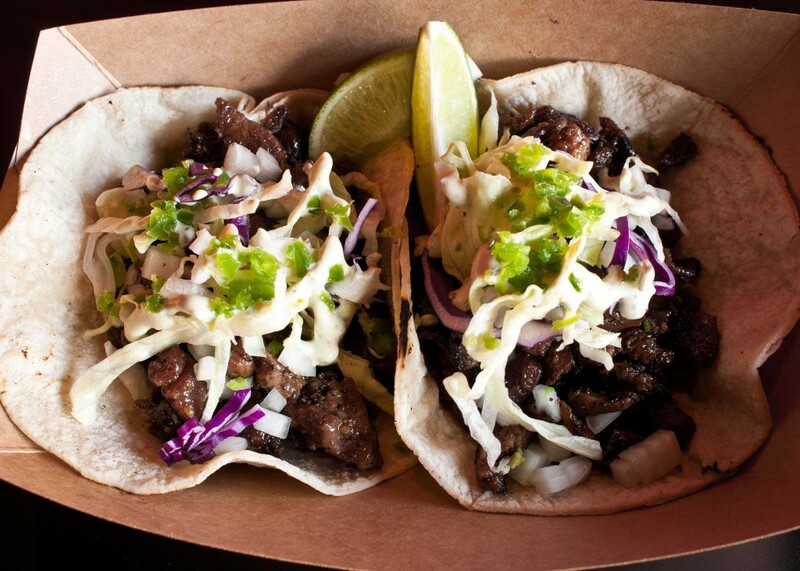 This entry was posted in Appetizers, Food Trucks, Pork Recipes on March 25, 2015 by Kram.